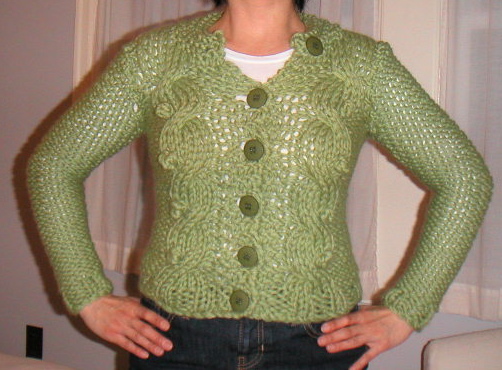 I finished the Best Friend Cardigan last night while I watched the Oscars. I wanted to wear it today, but it would have been too warm. As you can see, this is a very fitted pattern, but not uncomfortably so. I usually hate reverse stockinette stitch, but in this chunky yarn, it doesn't look too bad. I ended up buying the Twinkle's Big City Knits book, and my next project will be the Balthazar Vest, again in Rowan Big Wool in Acer, which is a warm brown shade. I completed the stuffed pig on Saturday afternoon. It turned out much cuter than I thought it would. It was hard to visualize what it would look like just from the pieces. It was fun to stuff it, and then after adding each component (ears, tail, eyes, etc. ), it started looking more and more real. It was a pleasant surprise! I love the sweater! Such a gorgeous color. And the pink pig is adorable. I must have one! 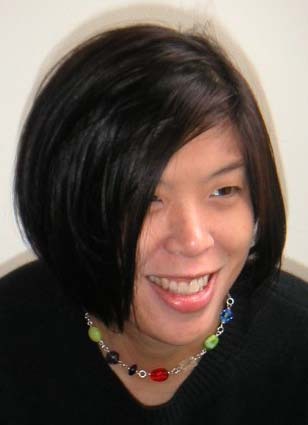 Looks great on you. Yeah I like that chunky yarn look alot. Piggy is cute also. That is the sweetest stuffed pig I've ever seen. Do you mind sharing where I could get the pattern? 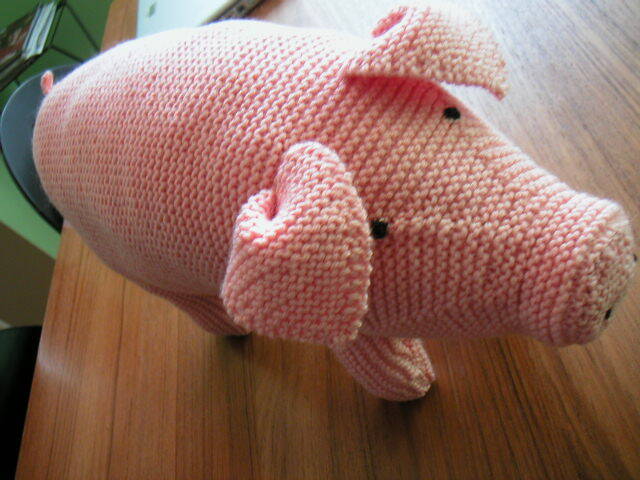 I would love to make one for my niece who was born last year-the year of the pig. 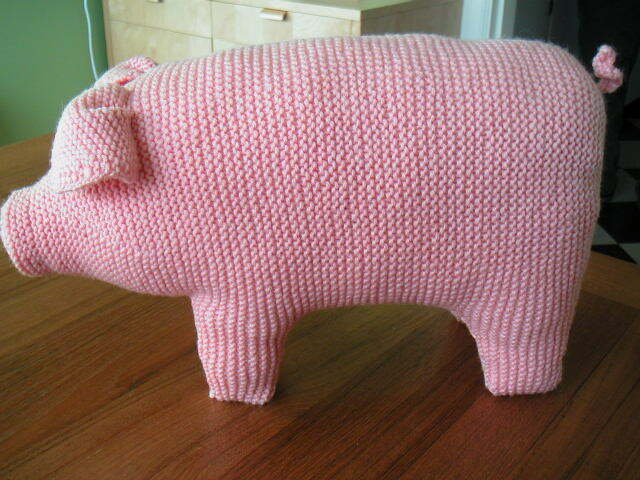 The pig pattern is from Debbie Bliss' book Toy Knits.